I am continuing my foray into African American History which for those that don’t know is really a key and often neglected part of American History. This is a several part series dealing with Emancipation, and the social revolution that it brought about in the United States Military. The process that began in 1862 has taken another century and a half to come to a much better state, and the men who pioneered the way deserve the credit for persevering in spite of prejudice, in spite of discrimination, and in spite of a country not appreciating them as they should have been. Their sacrifice not only pioneered the way for African Americans, but women, other minorities, and LGBTQ people. As a nation we are indebted to them. 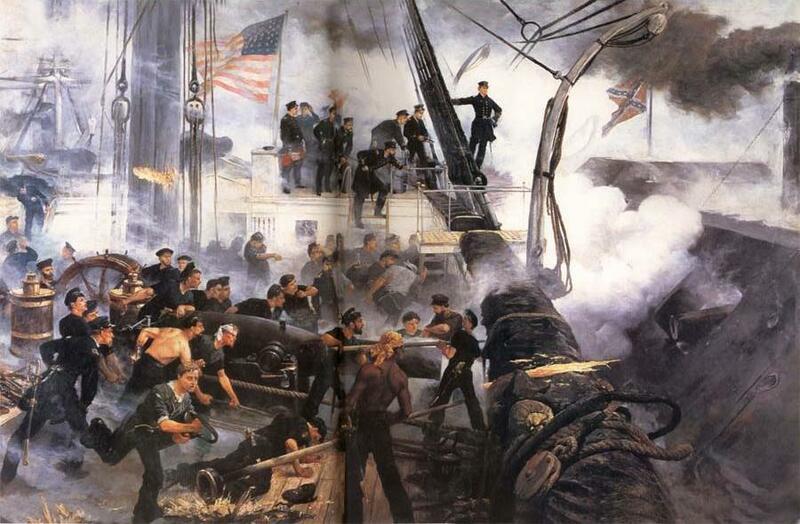 During the War of 1812 free blacks comprised between ten and twenty percent of the crews of U.S. Navy ships. Captains like Oliver Hazard Perry who initial complained about having blacks on his ships became believers in their ability. At the battle of Lake Erie “blacks constituted one-fourth of his 400 man force aboard the 10-vessel fleet.” He was so impressed by their performance under fire that he wrote the Secretary of the Navy “praising their fearlessness in the face of excessive danger.”  During the war, the Secretary of the Navy lifted Stoddert’s ban on blacks serving and free blacks responded by joining in increasing numbers. 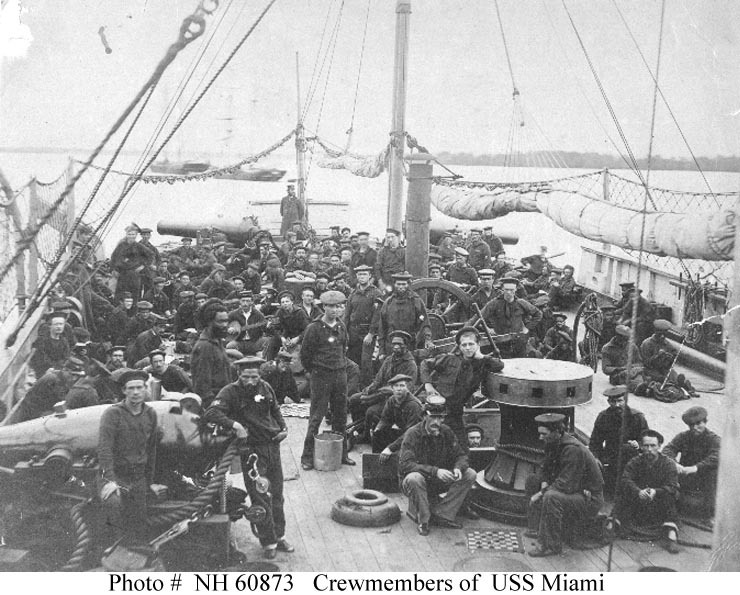 In 1862 the Union Navy was facing a manpower shortage the Federal and state governments discouraged whites from serving in the Navy due to the vast manpower needs of the Army. The government did not provide “bounties for those who joined nor counting them in local recruiting quotas.”  When confronted with the thousands of escaped slaves, or “contrabands” Secretary of the Navy Gideon Welles authorized their enlistment, and they were treated comparatively well. There were no segregated quarters due to the cramped conditions of shipboard life and as a result the men messed and were quartered in common spaces. 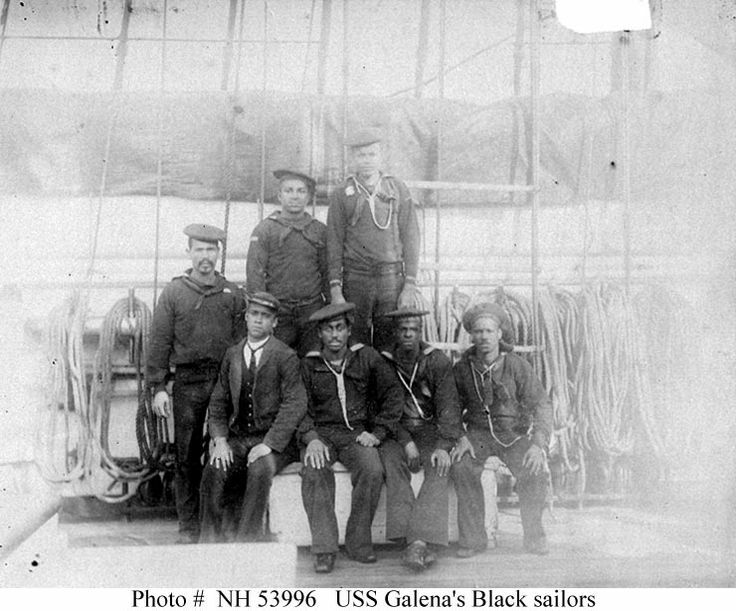 Black sailors had complete control of their pay and had the same privileges as their white shipmates. Affectionately known as “Black Jacks” these sailors served in some of the most critical actions fought by the Navy during the war, and aboard every kind of warship, including the new ironclads. Sadly after the war the opportunities for blacks began to decrease in the Navy. They still served but as the Navy became more technological, recruiters began to seek out more educated men to crew the ships of the new steel and steam navy. Increasing segregation and Jim Crow affected naval recruiting and by 1917 only about 7,500 blacks were still in the service. 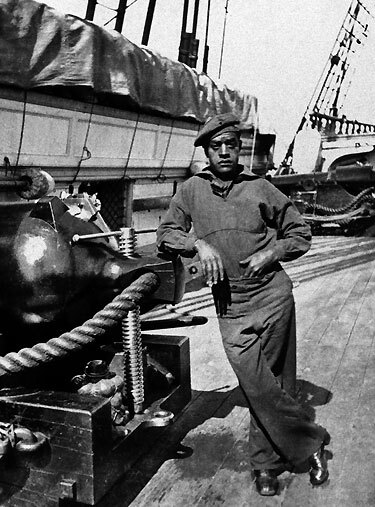 In the 1890s the navy began to exclude blacks from “all but the most undesirable jobs. Moreover, whites still would not tolerate blacks in blacks in positions of authority over them.” As a result promotion was rare, they worked in segregated conditions, and “to avoid friction between the two races,” commanders also segregated their eating and sleeping areas.”  With the exception of a successful experiment by Secretary of the Navy to integrate crews of certain auxiliary ships in 1944, these conditions would continue until President Truman ordered to integrate all branches of the military in 1948. I’m back with something fresh, a short article from my text A Great War in a Revolutionary Age of Change. As I was looking at the text I realized that there were some major gaps to fill in regarding the service of African Americans in the military. So over the past couple of weeks I have been working on covering those gaps in order to smooth out the text and show how the social and political changes that began during the Civil War continued to work their way through our history to the present day. This section is about the African American experience in the U.S. Navy from 1798 until World War One. Sadly after the war the opportunities for blacks began to decrease in the Navy. 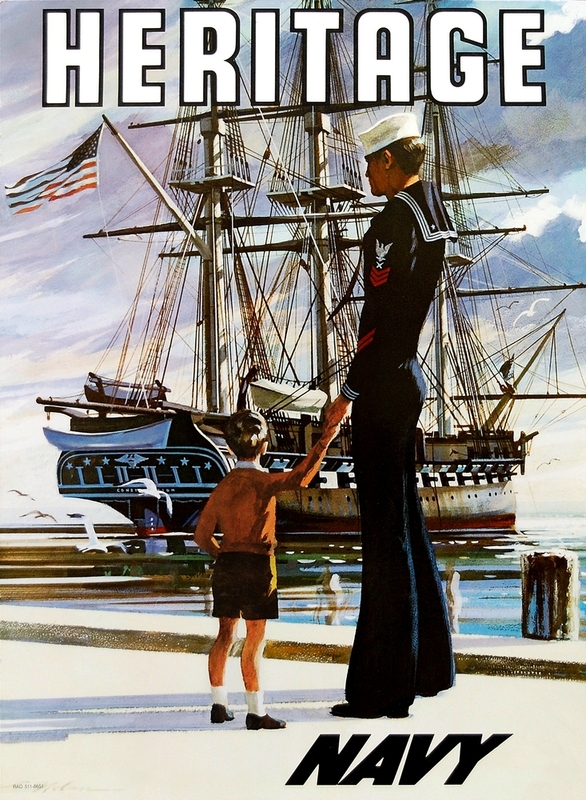 They still served but as the Navy became more technological, recruiters began to seek out more educated men to crew the ships of the new steel and steam navy. Increasing segregation and Jim Crow affected naval recruiting and by 1917 only about 7,500 blacks were still in the service. In the 1890s the navy began to exclude blacks from “all but the most undesirable jobs. Moreover, whites still would not tolerate blacks in blacks in positions of authority over them.” As a result promotion was rare, they worked in segregated conditions, and “to avoid friction between the two races,” commanders also segregated their eating and sleeping areas.”  With the exception of a successful experiment by Secretary of the Navy to integrate crews of certain auxiliary ships in 1944, these conditions would continue until President Truman ordered to integrate all branches of the military in 1948. Easter came early this year, and with it Good Friday too. Good Friday is somber day, and I think that there was none more somber than Good Friday 1865. Shortly after 10 P.M. at Ford’s theater a handsome and well known actor walked into the booth occupied by President Lincoln at Washington’s Ford’s Theater. The President was there with his wife Mary Todd Lincoln and another couple after a very full day of business to watch the play Our American Cousin a farcical look at the visit of an American visiting his English relatives when going to settle the family estate. Despite this Lincoln was in a cheerful mood, looking forward to the future and discussing all the things that he wanted to see and do after his term in office. 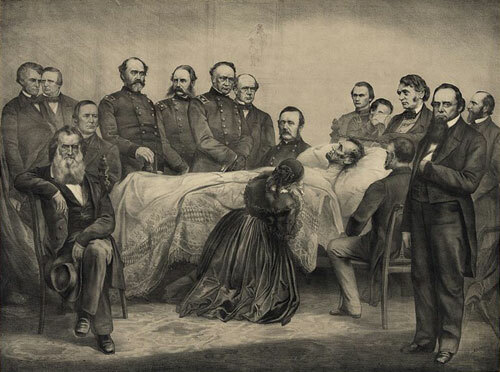 Mary was startled by his cheerfulness and Lincoln told her “I have never felt better in my life.”  Lincoln and his party arrived late to the cheers of the cast and took their seats in the box about 8:30 to the strains of Hail to the Chief. As the play resumed Lincoln’s bodyguard slipped away to get a drink and about twelve minutes after ten Booth slipped into the box where Lincoln sat watching the play. 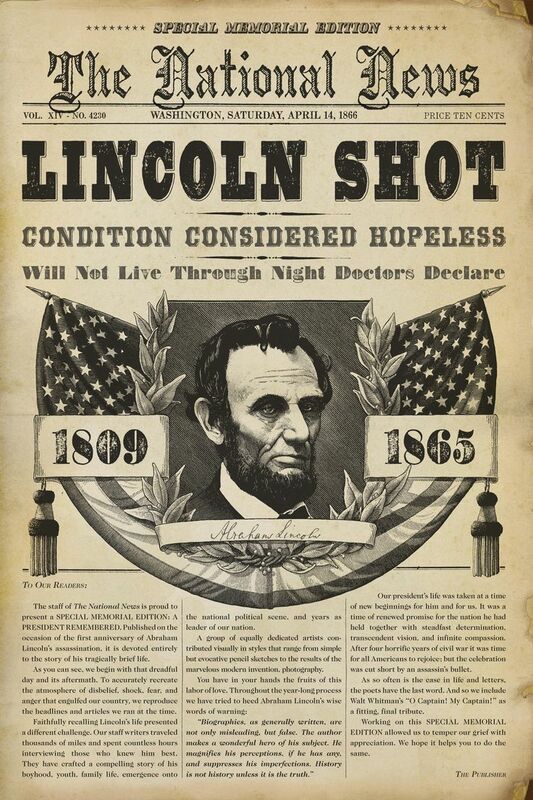 As the crowd roared its delight at a particularly funny scene a shot rings out and Lincoln’s arm jerks up and he slumps over. Booth then jumped to the stage from the box, injuring his leg and shouting “Sic semper tyrannis” or thus always to tyrants. It was the beginning of a series of attempted assassinations designed to decapitate the Federal government, Secretary of State Seward was badly wounded by Lewis Payne, a third assassin backed out at the last minute and failed to attack Vice President Johnson. 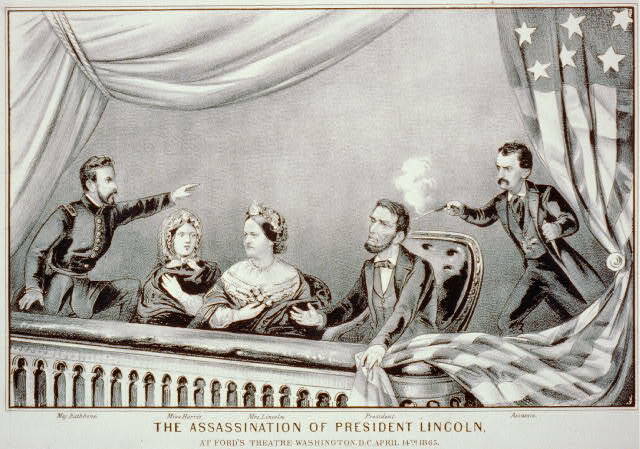 The bullet fired by John Wilkes Booth was a disaster for the country. Sadly, there are some today, in particular the White Supremacist group The League of the South are choosing to celebrate the assassination of the man that they so hate, and honor the assassin as a hero. However, I have to agree with Admiral Porter, there has never been a President before or after who was anything like this man, and I dedicate myself to the quest for equality of all people and for a reconciliation like the leaders of the League of the South and their forbearers will never embrace, for they hate this nation as much as they hate Lincoln. I also fear what such people would do to President Obama should they ever get the opportunity. Ibid. Wallace The Soul of the Lion p.194. A cohesive national strategy involves true debate and consideration of all available courses of action. In 1863 the Confederacy was confronted with the choice of how it would deal with the multiple threats to it posed by Union forces in both the West at Vicksburg, as well as in Tennessee as well as the East, where the Army of the Potomac was in striking distance of Richmond. However in May of 1863 the leaders of the Confederacy allowed themselves to choose the worst possible course of action for their circumstances simply because it was proposed by Robert E. Lee. The strategic situation was bad but few Confederate politicians realized just how bad things were, or cared in the euphoria after the Lee and Jackson’s victory at Chancellorsville. In the west the strategic river city of Vicksburg Mississippi was threatened by the Army of Union General Ulysses S Grant, and Naval forces under the command of Admiral David Farragut and Admiral David Dixon Porter. Confederate Secretary of War James Seddon and President Jefferson Davis recognized the danger in the winter of 1862-1863. During the winter Davis and Seddon suggested to Lee that he detach significant units, including Pickett’s division to relieve the pressure in the west and blunt Grant’s advance. Lee would have nothing of it; he argued that the war would be won in the East. He told Seddon that “The adoption of your proposition is hazardous, and it becomes a question between Virginia and the Mississippi.”  From a strategic point of view it is hard to believe that Lee could not see this, however, much of Lee’s reasoning can be explained by what he saw as his first duty, the defense of Virginia. Lee’s biographer Michael Korda points out that Lee’s strategic argument was very much influenced by his love of Virginia, which remained his first love, despite his deep commitment to the Confederacy. Korda noted that Lee: “could never overcome a certain myopia about his native state. He remained a Virginian first and foremost…..”  It was Lee’s view that if Virginia was lost, so was the Confederacy, and was concerned that whatever units left behind should he dispatch troops from his Army west, would be unable to defend Richmond. 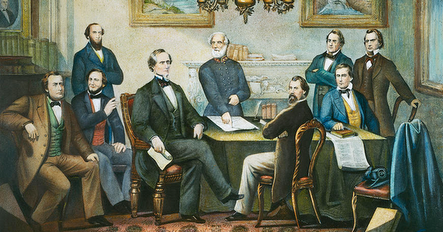 On May 14th Lee travelled by train to Richmond to meet with President Jefferson Davis and War Secretary James Seddon. At the meeting Lee argued for an offensive campaign in the east, to take the war to Pennsylvania. Lee had three major goals for the offensive, two which were directly related to the immediate military situation and one which went to the broader strategic situation. Lee’s Chief of Staff Colonel Charles Marshall crafted a series of courses of action for Lee designed to present the invasion option as the only feasible alternative for the Confederacy. Lee’s presentation was an “either or” proposal. He gave short shrift to any possibility of reinforcing Vicksburg and explained “to my mind, it resolved itself into a choice of one of two things: either to retire to Richmond and stand a siege, which must ultimately end in surrender, or to invade Pennsylvania.”  As any military planner knows the presentation of courses of action designed to lead listeners to the course of action that a commander prefers by ignoring the risks of such action, downplaying other courses of action is disingenuous. In effect Lee was asking Davis and his cabinet to “choose between certain defeat and possibly victory”  while blatantly ignoring other courses of action or playing down very real threats. Lee embraced the offensive as his grand strategy and rejected the defensive in his presentation to the Confederate cabinet, and they were “awed” by Lee’s strategic vision. Swept up in Lee’s presentation the cabinet approved the invasion despite the fact that “most of the arguments he made to win its approval were more opportunistic than real.”  However, Postmaster General John Reagan objected and stated his dissent arguing that Vicksburg had to be the top priority. But Lee was persuasive telling the cabinet “There were never such men in any army before….They will go anywhere and do anything if properly led….” So great was the prestige of Lee, “whose fame…now filled the world,” that he carried the day.” Although both Seddon and Davis had reservations about the plan they agreed to it, unfortunately for all of them they never really settled the important goals of the campaign including how extensive the invasion would be, how many troops would he need and where he would get them. The confusion about these issues was fully demonstrated by Davis in his letter of May 31st where he “had never fairly comprehended” Lee’s “views and purposes” until he received a letter and dispatch from the general that day.”  That lack of understanding is surprising since Lee had made several personal visits to Davis and the cabinet during May and demonstrates again the severe lack of understanding of the strategic problems by Confederate leaders. Though Lee won permission to invade Pennsylvania, he did not get all that he desired. Davis refused Lee reinforcements from the coastal Carolinas, and insisted on units being left to cover Richmond in case General Dix advanced on Richmond from Hampton Roads. Much of this was due to political pressure as well as the personal animus of General D. H. Hill who commanded Confederate forces in the Carolinas towards Lee. The units included two of Pickett’s brigades which would be sorely missed on July third. Likewise Lee’s decision revealed an unresolved issue in Confederate Grand Strategy, the conflict between the strategy of the offensive and that of the defensive. Many in the Confederacy realized that the only hope for success was to fight a defensive campaign that made Union victory so expensive that eventually Lincoln’s government would fall or be forced to negotiate. Lee was convinced that ultimate victory could only be achieved by decisively defeating and destroying Federal military might in the East. His letters are full of references to crush, defeat or destroy Union forces opposing him. 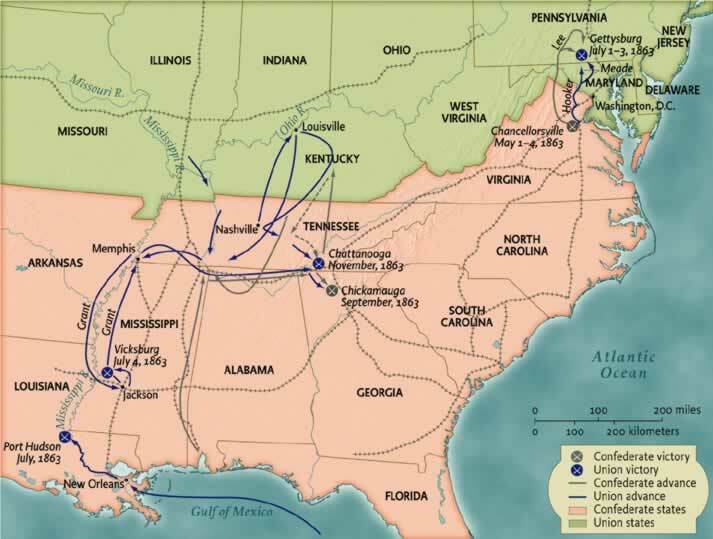 His strategy of the offensive was demonstrated on numerous occasions in 1862 and early 1863, however in the long term, the strategy of the offensive was unfeasible and counterproductive to Southern strategy. Lee’s offensive operations always cost his Army dearly in the one commodity that the South could not replace, nor keep pace with its Northern adversary, his men. His realism about that subject was shown after he began his offensive when he wrote Davis about how time was not on the side of the Confederacy. He wrote: “We should not therefore conceal from ourselves that our resources in men are constantly diminishing, and the disproportion in this respect…is steadily augmenting.”  Despite this, as well as knowing that in every offensive engagement, even in victory he was losing more men percentage wise than his opponent Lee persisted in the belief of the offensive. When Lee fought defensive actions on ground of his choosing, like a Fredericksburg he was not only successful but husbanded his strength. However, when he went on the offensive in almost every case he lost between 15 and 22 percent of his strength, a far higher percentage in every case than his Union opponents. In these battles the percentage of soldiers that he lost was always more than his Federal counterparts, even when his army inflicted greater aggregate casualties on his opponents. Those victories may have won Lee “a towering reputation” but these victories “proved fleeting when measured against their dangerous diminution of southern white manpower.”  Lee recognized this in his correspondence but he did not alter his strategy of the offensive until after his defeat at Gettysburg. What Alexander describes is the same type of strategy successfully employed by Washington and his more able officers during the American Revolution, Wellington’s campaign on the Iberian Peninsula against Napoleon’s armies, and that of General Giap against the French and Americans in Vietnam. It was not a strategy that completely avoided offensive actions, but saved them for the right moment when victory could be obtained. Grand-strategy and national policy objectives must be the ultimate guide for operational decisions. “The art of employing military forces is obtaining the objects of war, to support the national policy of the government that raises the military forces.”  Using such criteria, despite his many victories Lee has to be judged as a failure as a military commander. Lee knew from his previous experience that his army would suffer heavy casualties. He understood that a victory over the Army of the Potomac deep in Northern territory could cost him dearly. He knew the effect that a costly victory would have on his operations, but he still took the risk. That decision was short sighted and diametrically opposed to the strategy that the South needed to pursue in order to gain its independence. Of course some will disagree, but I am comfortable in my assertion that it was a mistake that greatly affected the Confederacy’s only real means of securing its independence, the breaking of the will of the Union by making victory so costly that it would not be worth the cost. Taylor, Walter. General Lee: His campaigns in Virginia 1861-1865 With Personal Reminiscences University of Nebraska Press, Lincoln Nebraska and London, 1994 previously published 1906 p.180. For me anything to do with the United States Navy is historical as well as decidedly personal. Sunday is the 238th anniversary of the founding of the United States Navy, actually the founding of the Continental Navy but let’s not get too technical. In fact had General George Washington not sent a letter to the Continental Congress say that he had taken some vessels in hand to disrupt the supplies of the the British Army a Navy might not have ever been established. Timing is everything and in this case it was pretty good timing. Since that fortuitous day in 1775 the United States Navy went from being a piss ant annoyance to the Royal Navy to the premier naval power in the world. Men like John Paul Jones, Edward Preble Stephen Decatur, Thomas Truxtun, William Bainbridge, Oliver Hazard Perry, David Farragut, David Dixon Porter, George Dewey and many more blazed a path of glory which others, great and small would continue to build on the legacy of the iron men who sailed wooden ships into harm’s way. Men like Arleigh Burke, Howard Gilmore, John C. Waldron, Maxwell Leslie, Bull Halsey, Richard O’Kane, Daniel Callahan, Raymond Spruance, Ernest Evans built upon that legacy in the Second World War. Others would do so in the Cold War, Vietnam and the Global War on Terrorism. Great ships like the USS Constitution, USS Monitor, USS Kerasarge, USS Olympia, USS Enterprise, USS Hornet, USS Yorktown, USS Growler, USS Tang, USS Hoel, USS Johnston, USS Samuel B Roberts, USS Laffey, USS San Francisco, USS Houston and USS Arizona, USS Nevada, USS West Virginia and USS California helped build a legacy of valiant sacrifice and service often at great cost in the defense of freedom. But over those 238 years it all it came down to the men and now the men and women who served in every clime and place, many times outnumbered and facing certain defeat who through their courage, honor and commitment helped secure the liberty of their countrymen and others around the world. Most of these men and women served in obscurity in war and peace but all had the distinction of serving in the United States Navy. 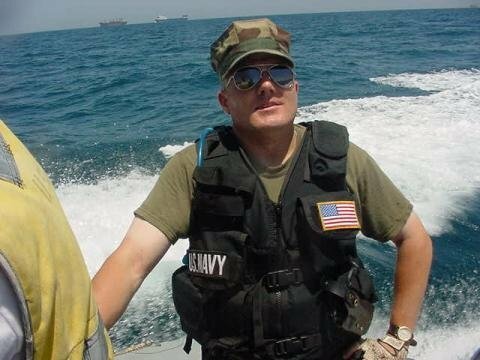 Like my father before me I can say that I am proud to have served and continue to serve in the United States Navy, because we are no matter what some may say or think, a global force for good.